How much leverage do buyers have in the current market? We are in a buyer’s market – The market is moving in a cyclical approach. However, buyers have more leverage at the moment. Homes are not selling like they did in 2008, but if the property is priced properly, it will move. The real estate market is not slowing the stock market down which can sometimes be the case. There is still uncertainty around taxes since plans may not be confirmed until springtime. What does buyer behavior look like today vs. a couple of years ago? Buyers are still actively looking and have interest in purchasing homes. However, the pool is much smaller. People are not bidding as aggressively. A couple of year ago, an open house could have consisted of 50-60 people where now a large pool seems to be in the range of 15-20 people. Back in early 2010s sellers were often getting there ask where now, where now sellers are having to come down on ask. This is currently a tough market for “aspirational sellers” and the sense of urgency from buyers has faded away. Is this market an investment opportunity for buyers – There is most leverage in new development. The fully aired Urban Digs episode as can be found here. If you are interested in learning more about buying in NYC or Long Island, contact us today and we will connect you with one of our Specialists. 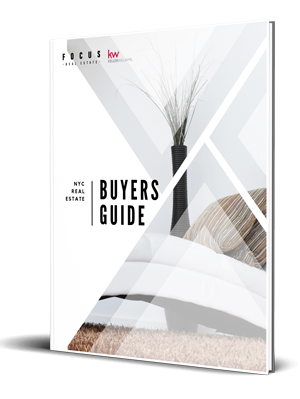 If you’d also like to learn more about the buying process in NYC, download our Buyer’s Guide today!